As a fully licensed general contractor, Sunset Granite has you covered from start to finish on your kitchen and bathroom projects. Whether new construction or renovation, we can help you get a good experience in remdeling your home. 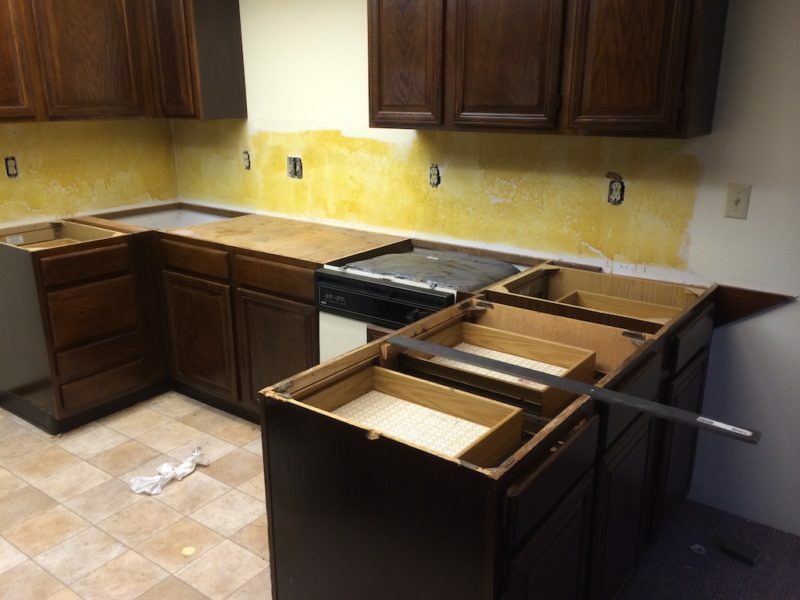 When it comes to tearing out or demolishing existing countertops, cabinets, sinks and tile, it’s always a good idea to have a fully licensed, bonded and insured professional do the work for you. 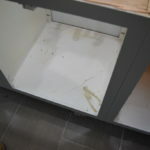 Sure, you can do it yourself and yes it will save a little money, but take it from the experienced and licensed experts at Sunset Granite – we’ve seen plenty of DIY demos go awry that later need the help of a professional. 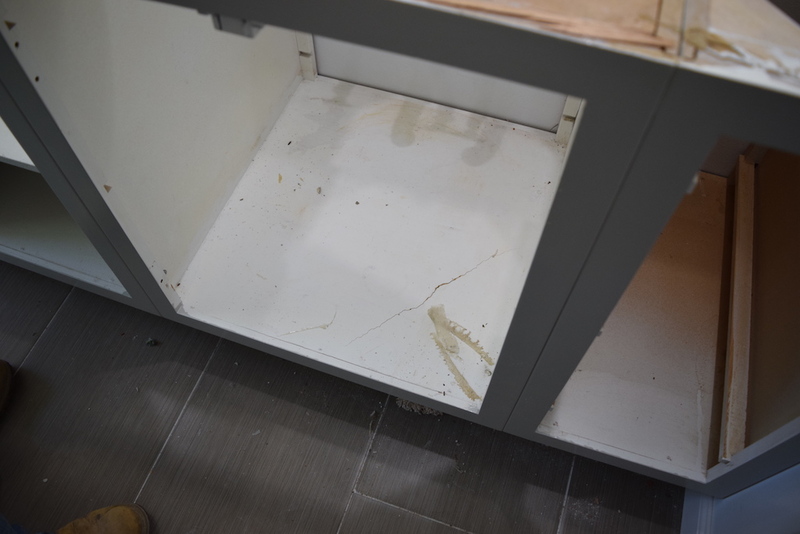 Pulling a countertop off or taking a sledgehammer to older cabinets may seem easy, but unintended damage to the floor, drywall or, worse yet, the plumbing can end up costing more than having a pro do the demo and tear out from the start. There are a couple of methods when it comes to tearing out existing countertops, sinks, faucets, cabinetry, bathtubs, showers and tiling. The first is the “Full Bore” method. As the name describes, this way involves just removing as much as is possible as quickly as possible. While popular on all the home improvement TV shows, going full bore can create a few problems. 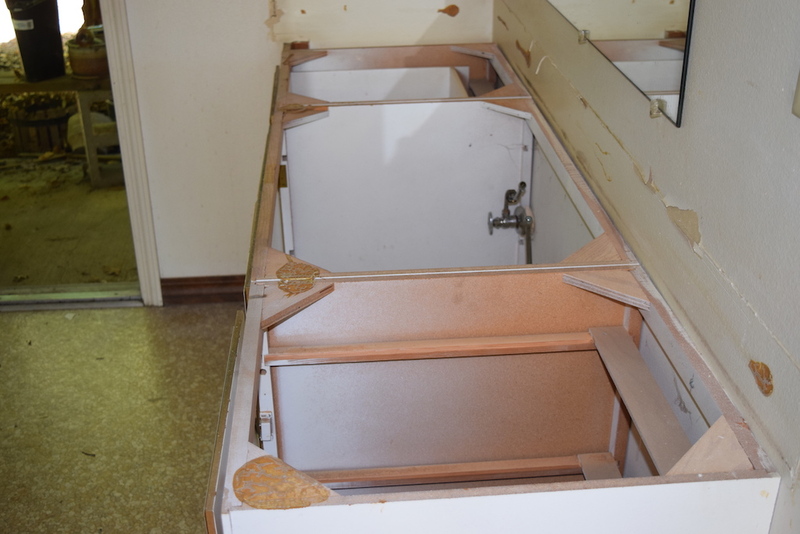 First, when removing countertops, the cabinets can be damaged. 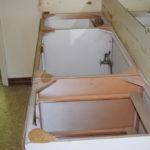 This means repair or more work might need to be done to get the base for the countertops back in proper, working order. When removing, and replacing flooring or wall materials, the backer or base boards and drywall can get damaged. Again, this can lead to unnecessary extra costs to replace or repair base structures. Full bore can be the best method if you intend on redoing an entire space from the studs or block. We prefer to work with the method of “Installation in Reverse.” This means taking the time to make sure that items to be removed or updated are removed systematically, in an effort to do as little damage as possible to the remaining fixates, baseboard and cabinets. We understand how these projects have been built from our years of experience. One key advantage to this “gentler” method of tear out is that some materials can be salvaged and may be suitable for selling or reuse to help to recoup a small amount of the money that you intend on spending on new materials. You could even donate removed materials that are usable. Did you protect the flooring that is to remain from falling debris that could scratch or ding it up? Did you cover and or remove fixtures that could be in the way of the items being removed or could get broken as items fall from demolition? Did you fully understand how the materials are attached? Are you fully aware of the underlying structures and supports that are attached to what you’re removing? Remember, even though many DIY TV show have the home owners join in on demo and make it look fun, there’s still a fully licensed general contractor in charge, monitoring and supervising every step. It’s never just a matter of smashing things with a hammer, picking up the debris and putting in the new materials. 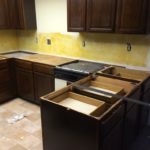 It is entirely up to you how you would like to proceed with demolition of your space but we prefer to do this ourselves to hopefully save you a potential headache. We are licensed, bonded and insured general contractors and we have the background to do your project right so you can get back to a regular mode of operation in your brand-new and beautified space.